Orchids are exotic, graceful and delicate. They form geometric shapes which are quite unlike the soft, rounded curves of more common flowers. It is this very unusual quality that makes them so exotic and desirable. 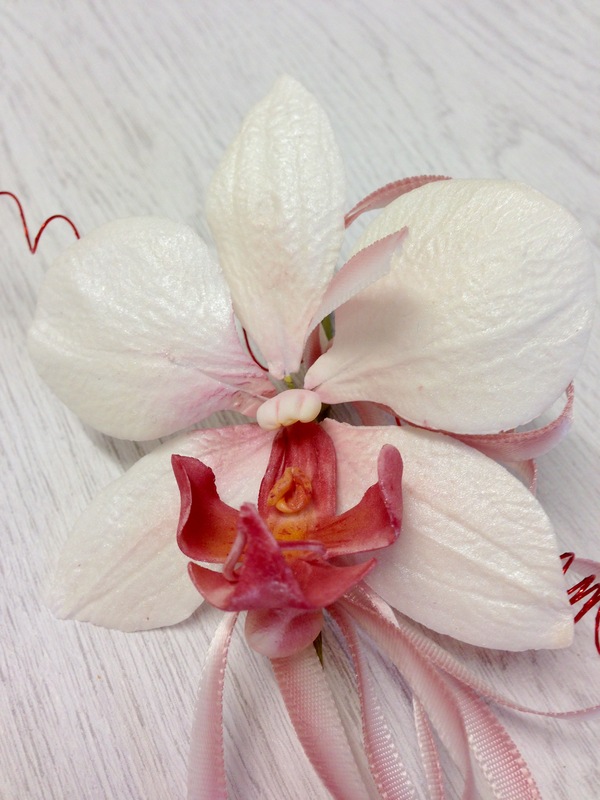 Orchids have many meanings such as love, perfection and beauty amongst others and it is a perfect flower that we aim to help you create! With no tools to buy, our amazing staff at The Fruitcake Factory in Meopham, Kent, will teach you how to hand craft and colour the petals, leaves and stamen to create an unusual and exotic gift. Had a really enjoyable time at this course. My Orchid turned out really well .Karen is a great teacher.